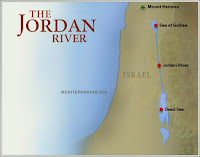 In my last post on Staying Close to the Source, I mentioned the journey of the water of the River Jordan. The source, of course, is the spring melt water off the snowcap of Mt. Hermon. The melt water moves quickly down the mountain slope to form the headwaters of the Jordan River. 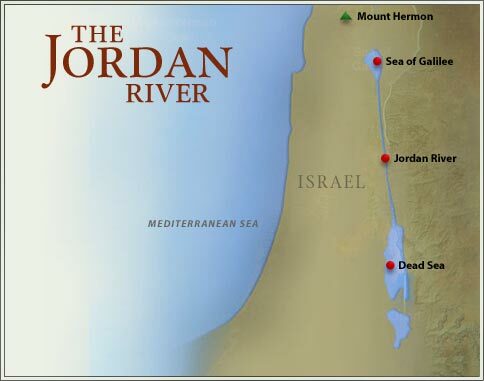 This early portion of the Jordan dumps into the northern part of the Sea of Galilee, and then flows out the southern end to form the main body of the Jordan River. The final destination for the majority of all this Mt. Hermon melt water, of course, is the Dead Sea. The flow of water stops here. There is no outlet on the southern end of the sea. The water is trapped at this one place and becomes contaminated by the high mineral and salt content of that area in the desert. This movement of water from the slopes of Mt. Hermon all the way down to the Dead Sea, is a great example of what produces life and what produces death – flow! When water has a natural flow of intake and outlet, then the water contains the proper amounts of oxygen and other life sustaining nutrients. When the water gets stopped in one place, though, the water becomes stagnant and loses its life-giving properties. You know, money works a lot like water. Money has its own flow or current to it, that’s why it’s called “currency!” Money likes to move from one point, to the next, and then to the next. The flow of money is what accomplishes things, whether it’s the flow of money from our wallet to a restaurant in order to buy us a meal, or the flow of credit money from a bank in order to build a new building for a business, or the flow of money from our bank accounts to our local churches in order to accomplish God’s Kingdom purposes here on earth. Christians who have an open hand with the money God has entrusted to them have life! They tend to be more mature spiritually because they are living unselfishly. But those believers who struggle with financial greed and selfishness have a tendency to hoard the money God has entrusted to their care. The flow of money comes to a stop with them and their selfish desires. They become spiritually dead inside because they are not allowing the flow of God’s money to accomplish His work and His desires. So how about you, Christian? Is God’s money flowing through your life or is it stopped up? Are you just doing a bunch of receiving and very little giving, or do you have a good flow of both receiving and giving in order for that financial current to give spiritual life and maturity? What changes do you need to make in order for that financial flow to be established? Focus on the flow of both receiving and giving. Don’t let your finances get backed up so that you start to stink and die inside, spiritually. Re-establish the proper flow of giving back to God through your local church, as well as to those in need. And you know what? When we get into this financial flow of both receiving and giving, God can and will do some amazing things through your life. You yourselves know that these hands of mine have supplied my own needs and the needs of my companions. In everything I did, I showed you that by this kind of hard work we must help the weak, remembering the words the Lord Jesus himself said: ‘It is more blessed to give than to receive.’ ” (Acts 20:34-35).